A layman’s look at that immense problem confronting the world – the problem of continual population increase on a planet that is FINITE in size. 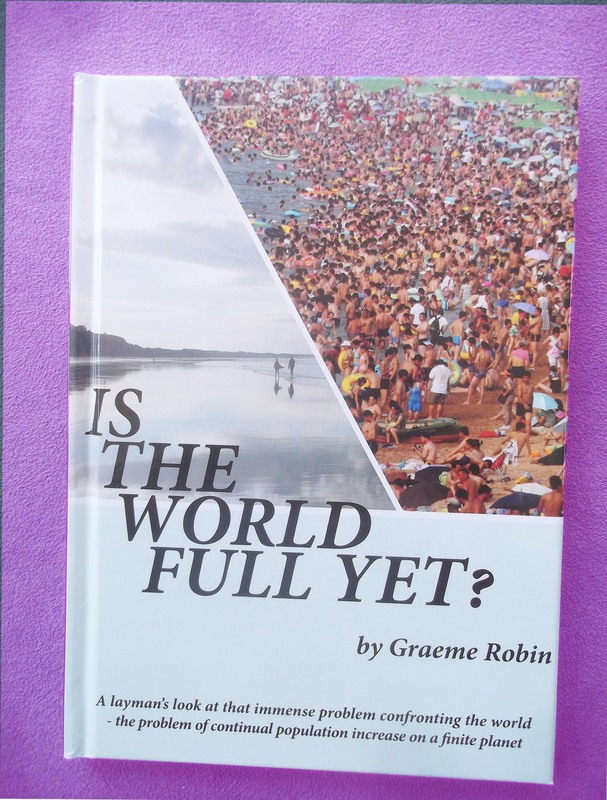 I have put this book together in an effort to raise awareness of the looming problems that are facing us. Why is there so little talk about this subject? “It’s all too hard” “I’m alright Jack! Is it possible that the words, the logic and the arithmetic in this book could become a catalyst for change? Is it possible it could create a momentum – a momentum for POPULATION PARITY? But I need a lot more names and addresses of people who could have an interest in helping to build a conversation – a momentum to cut through the fog of indifference and prejudice. Can you help with suggestions? If so, please drop me an email with the names of people with influence who may benefit from getting a copy of this book. For more information about this book’s content please simply click on the image of the book above.